Are your indoor facilities air conditioned? Yes, all of our indoor facilities are climate controlled. Yes, the venue is ADA compliant and wheelchair accessible. Is there a kitchen on the property? Yes, we have a caterer’s prep kitchen inside the Gin building which includes sinks, ample counter space, refrigerator, and ice maker. The kitchen does not have equipment for cooking. How many people can The Gin accommodate? Approximately 300 seated guests indoors, and approximately 500 cocktail-style reception guests. Our parking lot accommodates up to 200 vehicles, with additional space for overflow parking available adjacent to the lot. Are there bride and groom dressing rooms available? We have a few options for bride and groom dressing rooms on the property. You may choose to use The Cotton House, The Seed House, and/or The Scale House to best suit your needs. Floor length and vanity mirrors and ample natural light are provided in The Seed House. There is also a kitchenette in each space for setting up refreshments while getting ready. Please note that the overnight accommodations associated with these spaces does require an additional fee. See Details section of website for pricing. What types of events are hosted at The Gin? Our venue was designed to be flexible, a blank canvas for our clients to use as they desire. We can accommodate any event, large or small, including weddings and receptions, corporate events and dinners, family or class reunions, quinceañeras, concerts, workshops, fundraisers, parties, and even Aggie game-day events! 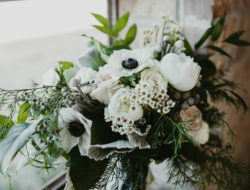 What happens if there is inclement weather in the case of an outdoor ceremony or event? Do you have a rain plan? Yes, we do have a rain plan. In case of inclement weather, we will move your ceremony indoors to the gin building. After the ceremony, while the space is being transitioned into your reception, guests may gather on the covered outdoor terrace. 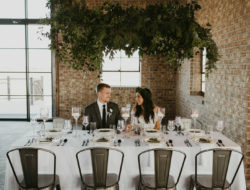 Does the Gin offer both indoor and outdoor ceremony sites? 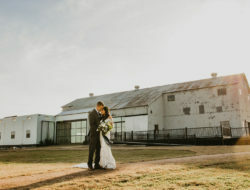 Yes, we have several options for ceremony sites, including 2 outdoor sites (one facing east and the cotton fields; the other facing west and the gin building) as well as indoors in the gin building. Tobacco smoking is prohibited inside all buildings at the Gin. Smoking is only permitted outdoors in the venue’s designated smoking area only; however, the client may choose to prohibit smoking entirely. Do you offer onsite overnight accommodations? Yes, we do offer overnight accommodations, including The Cotton House, The Seed House, and The Scale House. You are allowed the use of these for an additional fee (see Pricing under Details page of website). What is the role of the on-site property manager? The role of the on-site property manager is to answer facilities-related questions, ensure the facilities, including restrooms, are in working order, and be the point person for all vendors. Please note that the on-site property manager is NOT an events coordinator. The manager will not assist with wedding day set up or the ceremony procession. It is highly recommended that you bring in an events coordinator for your event to ensure it runs smoothly. Please ask for our preferred vendors list to contact a coordinator for your event. How can I schedule a tour of The Gin? Tours are conducted anytime during the week (M-Th 10:00a-7:00p). If you’d like to schedule a tour, please call or e-mail us! What time is an event required to end? All events must end at 12 midnight, with everyone, including vendors, off the property by 2am. The client is responsible for removing all decorations (including any glitter, confetti, etc. used), gifts, personal items, etc. that are brought in. The client is also responsible for making sure that all vendors are packed up and out by the end of the allotted time frame. The caterer and bartenders are responsible for clearing tables, removing trash to onsite dumpster, and cleaning up spills. The Gin is responsible for cleaning as part of your contract. 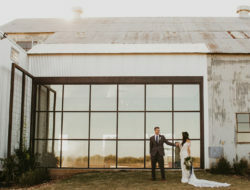 Will I be able to have my rehearsal at the venue the day before my wedding? Is there an additional charge? We cannot guarantee that the venue will be available the day before your event. You may check availability 45 days prior to your event, and if that date is open, you may use it for an additional $500 fee for your rehearsal. And if we do have an event scheduled the day before yours, we will do our best to work with both parties to find a convenient time for the rehearsal to be held. If this is not possible, we will work with you on another time for rehearsal. What are the nearest hotel accommodations? The nearest hotel accommodations include a Best Western approximately 8 miles east in Navasota, and several options approximately 20 miles north in nearby College Station, including a Best Western Plus, La Quinta, Ramada, Hilton, new 4-star hotel The George, and new boutique hotel Cavalry Court, among others. Do you provide transportation for guests? We do not provide any transportation at this time; however, we can recommend a transportation service if needed. And in the event that a guest is not safe to drive, we will gladly assist in setting that up. What all does the rental fee include? We accept cash, personal or cashier’s check, and all major credit cards. If you need to cancel your event, please notify us as soon as possible. Unfortunately, all deposits and payments submitted prior to cancellation are non-refundable. Do you offer a discount for non-profits or fundraising events? Yes, there is a $500 discount for non-profits/fundraising events. Yes, there is a $500 discount for active military duty. What do I need to do to book and secure my rental? You will need to submit your signed contract along with your initial down payment. What decorations are provided by the venue? We do provide indoor and outdoor industrial string lighting, ceiling drapery, and a ceremony arch at no additional cost. You may bring in your own decorations, but we do not allow anything to be attached to the walls or floors with staples, tacks, tape, glue, nails, or any other material that might damage the surface or paint. We have provided rigging points throughout the space that can be used to hang structures, greenery, banners, fabric, etc. Yes, candles are allowed, but they must be in glass containers. How far in advance is the venue available for set up and decorating? This will be determined based on the type of event and the time your event begins but generally, you are allowed access from 10 am the day of your event. The Gin will be responsible for setting up the tables and chairs according to the layout you provide to us. The layout and your final guest count will be due 2 weeks prior to your event. 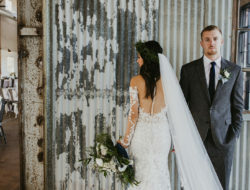 What items are allowed for tossing at the bride and groom exit? We allow dried lavender, other real flowers such as rose petals, bubbles, pop-up streamers, sparklers, and glow sticks. If you would like to use something else, please contact us for approval prior to purchasing the item. No, we do not supply linens. You will need to rent/purchase these elsewhere. The client or the client’s wedding coordinator is also responsible for placing out linens. Tables will be set up in advance by the Gin’s property manager. Do you provide tables & chairs? Can I bring in specialty lounge furniture, tables, and chairs? Yes, you are welcome to bring in your own furniture, tables & chairs; however, this does not change the rate. We do provide silver industrial style “Tolix” chairs (400), 8’ rectangle tables (50),30” cocktail tables (10), 48” round tables (4) and 60” round tables (50). Is there a list of vendors that we are required to use? We do have a preferred vendors list which is available after you book your event with us. Our preferred vendors are very familiar with the Gin, its staff, and policies and procedures. We feel you will be in capable and trustworthy hands with these professionals. Although it is not required that you use these specific vendors, any vendors not on the list must still be approved by the venue. In most cases, your caterer must have the ability to prepare all food offsite, as there is no cooking equipment in the venue’s kitchen. However, your caterer may bring in outdoor stoves or grills for purposes of barbecues or tailgating events. They (or another vendor) must also provide the china, glassware, and flatware for your event, as we do not provide these items. Can I use an event coordinator? Yes, we would highly recommend and prefer that you do use an event coordinator as it allows for a more successful event and ensures your event does not run over the allotted time. 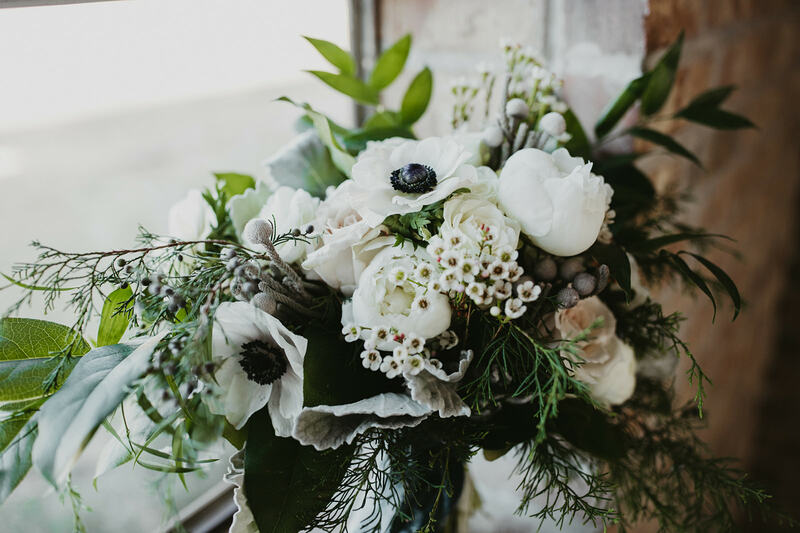 Your coordinator will be able to assist with wedding day set up and ceremony procession. Please note that our on-site manager is not responsible for these duties. Yes, you are welcome to bring your own beer, wine, liquor and non-alcoholic beverages, provided you have TABC certified bartenders serving. All alcohol must be placed behind the bar and served by TABC bartenders. Your bartender/caterer will be responsible for mixers, glassware, napkins, etc.